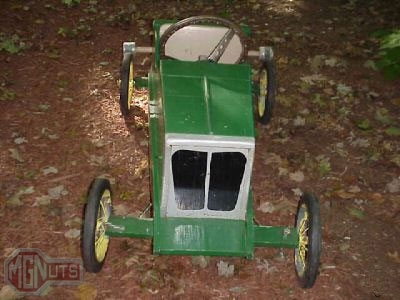 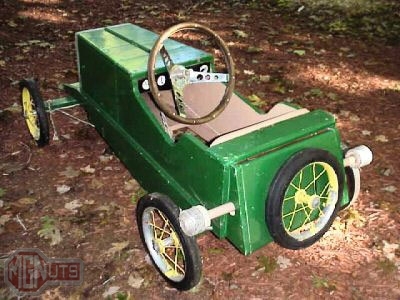 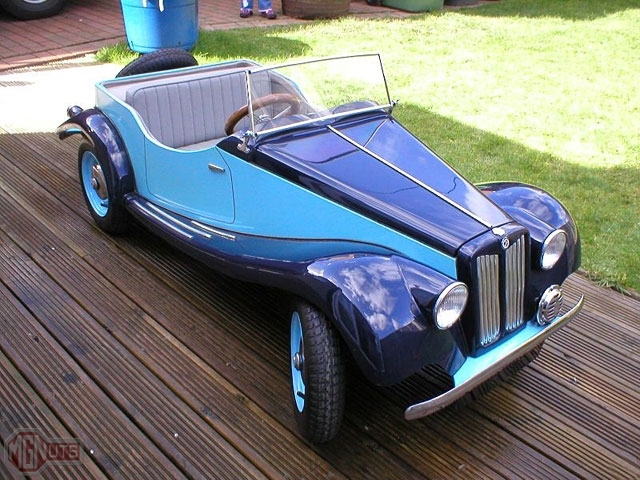 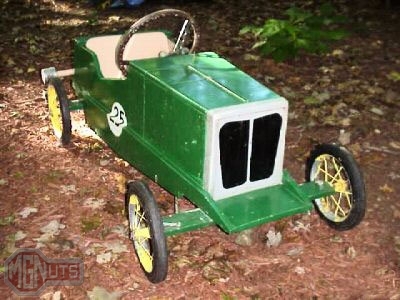 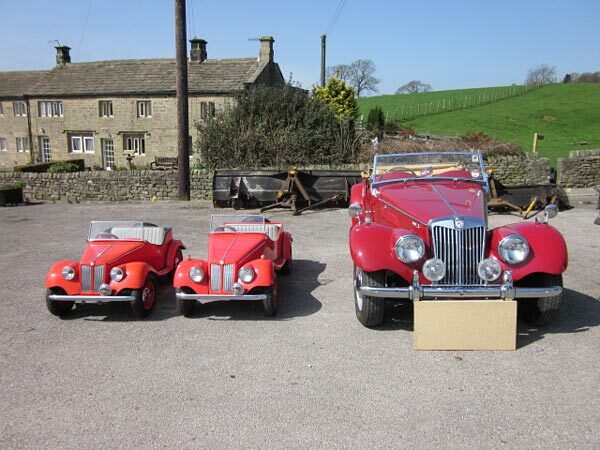 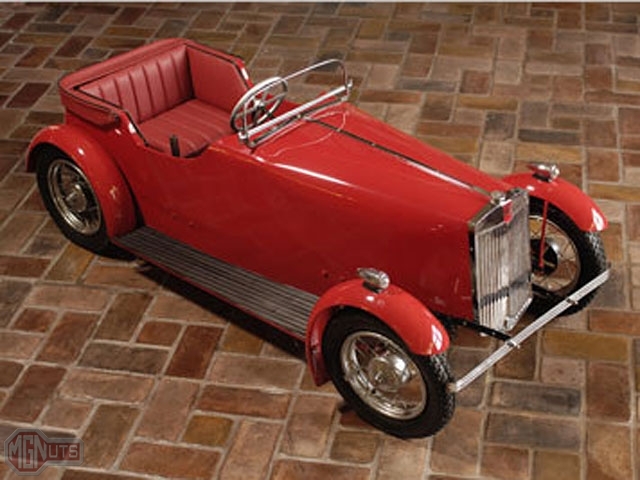 This is a gallery of pedal cars made to resemble M.G.s. 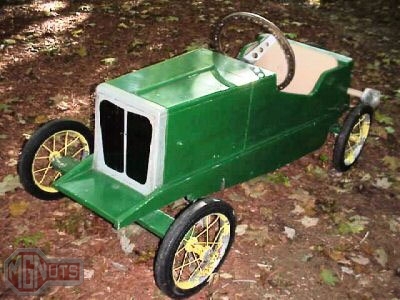 If you have any photos of pedal cars to add to the gallery, email them to me! 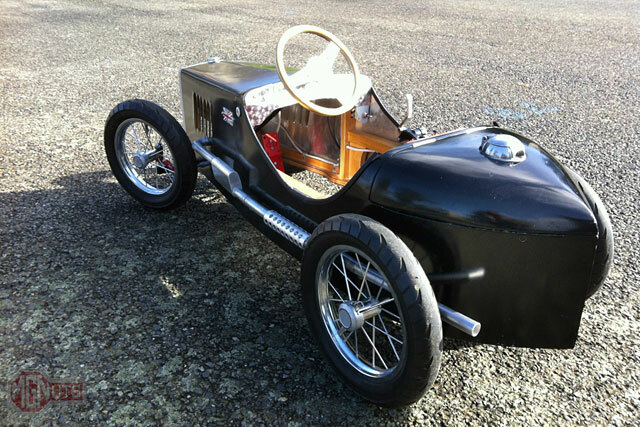 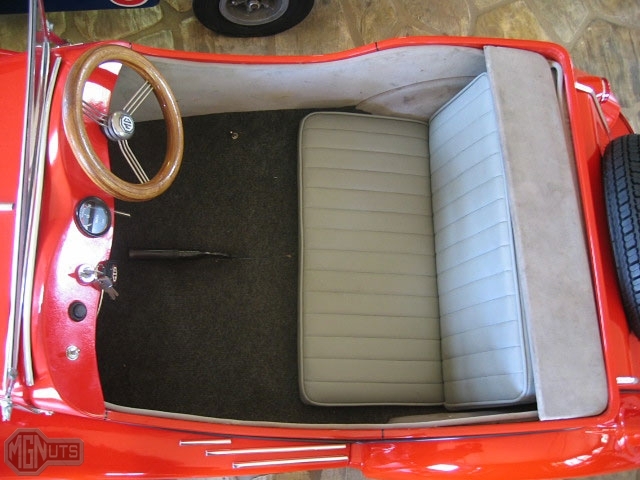 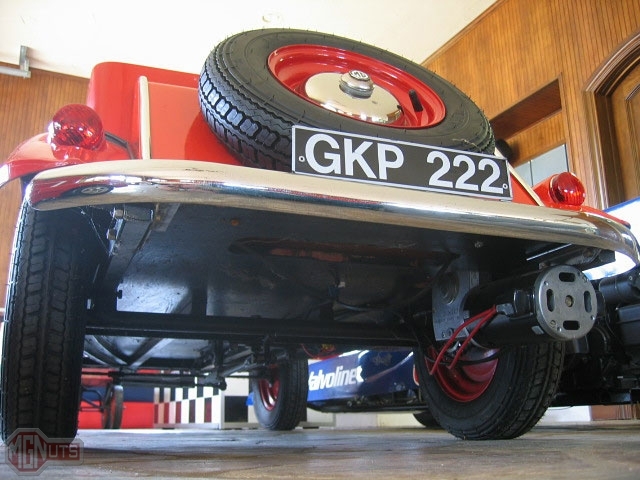 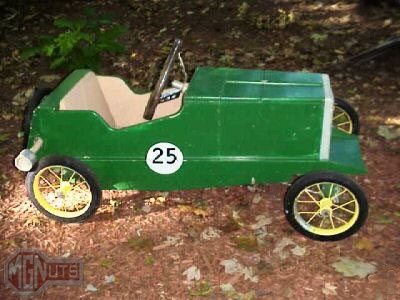 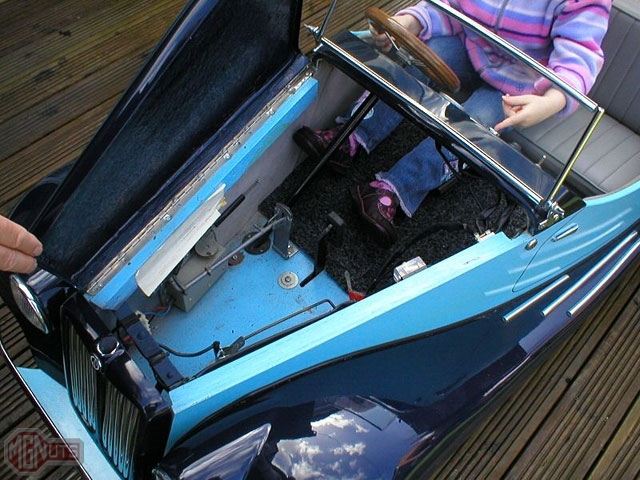 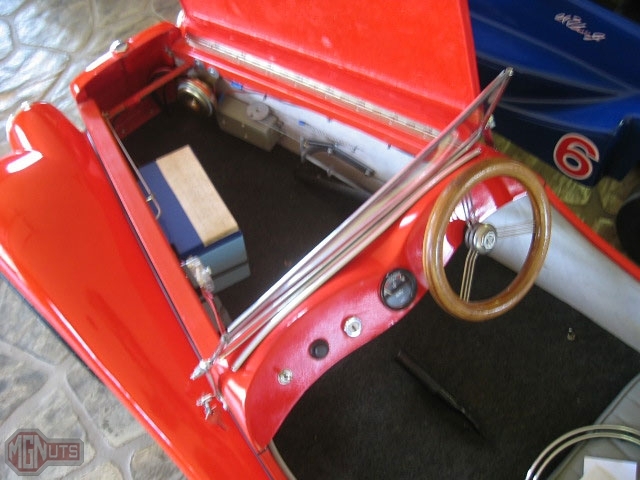 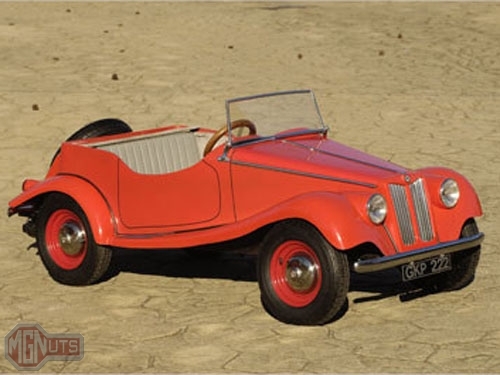 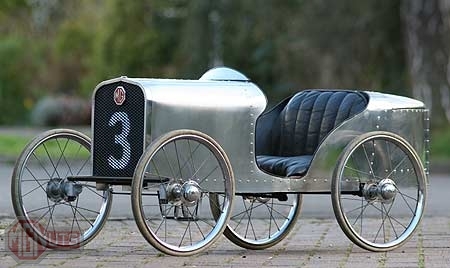 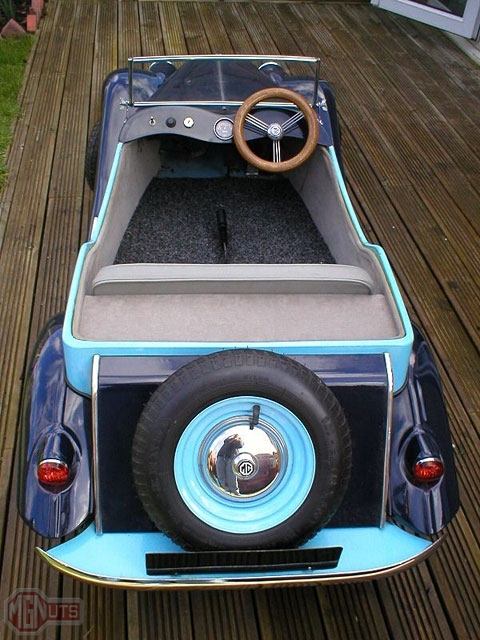 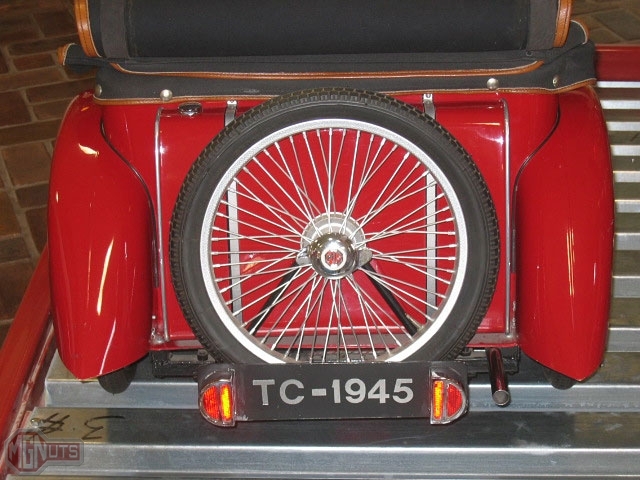 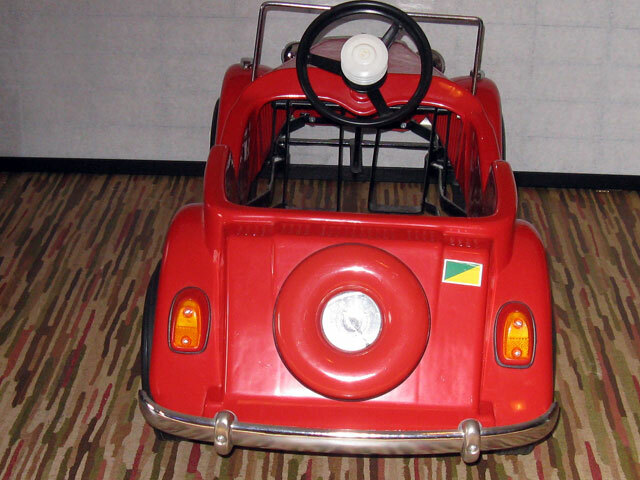 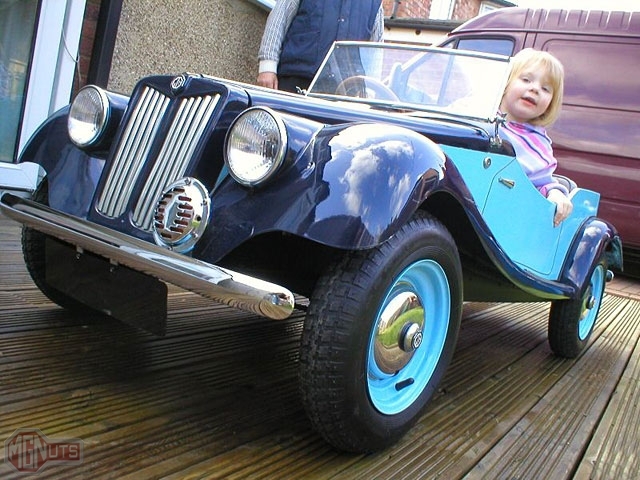 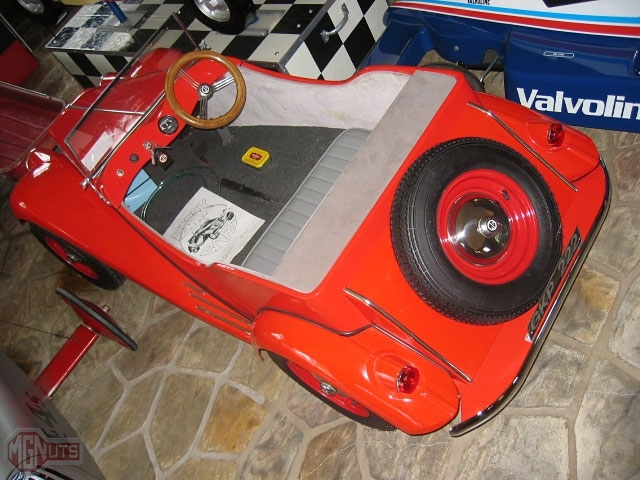 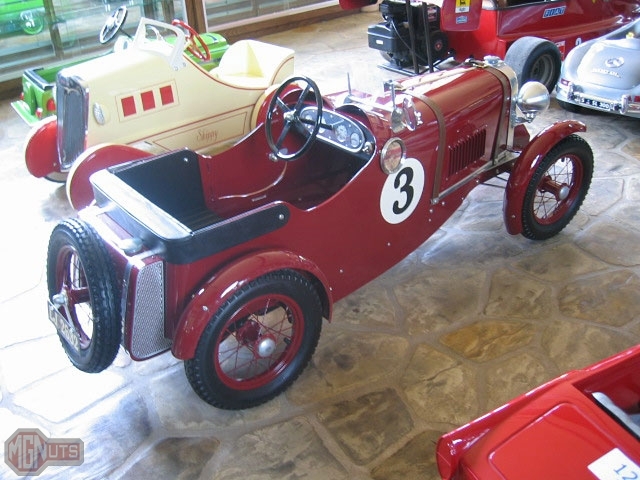 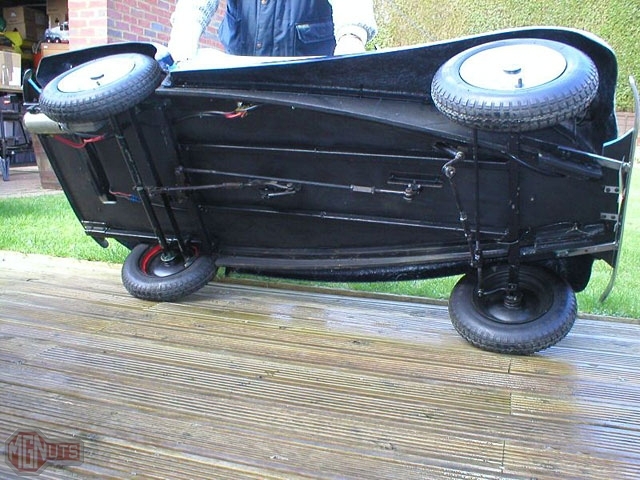 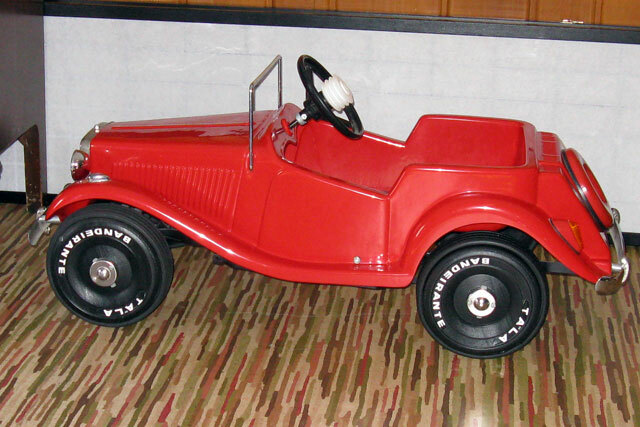 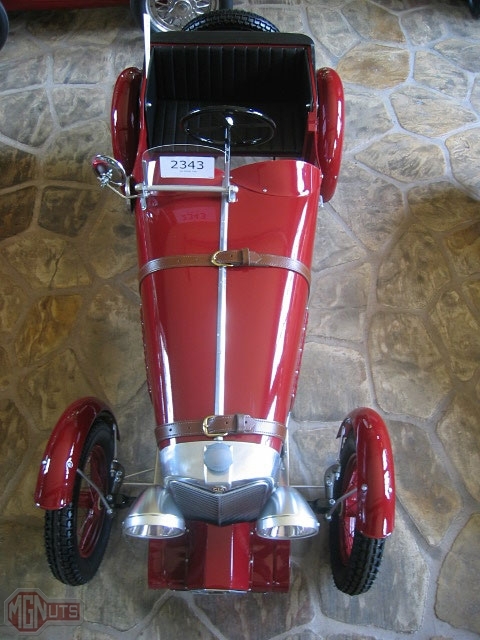 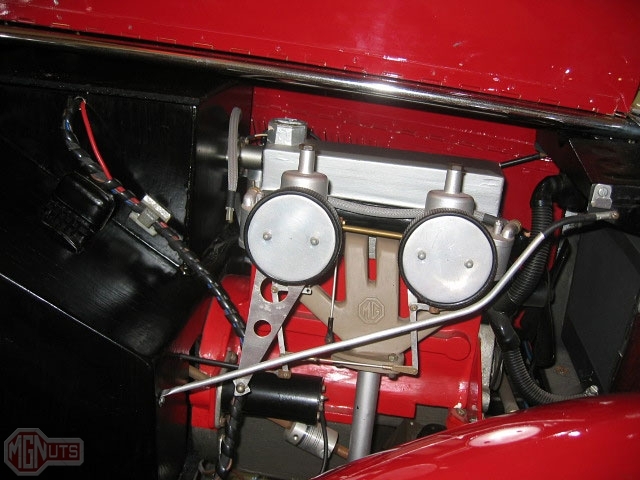 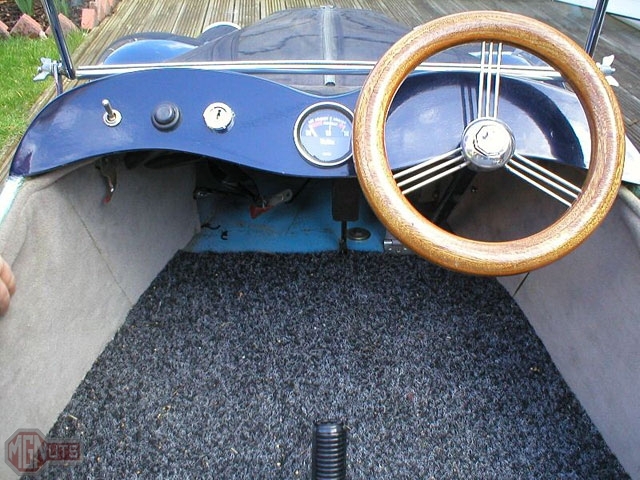 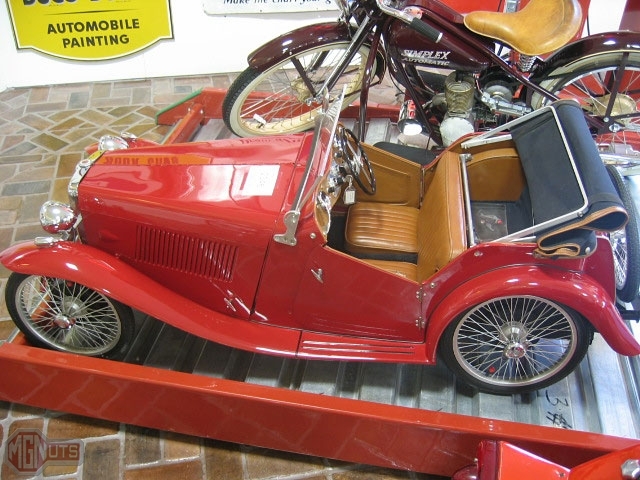 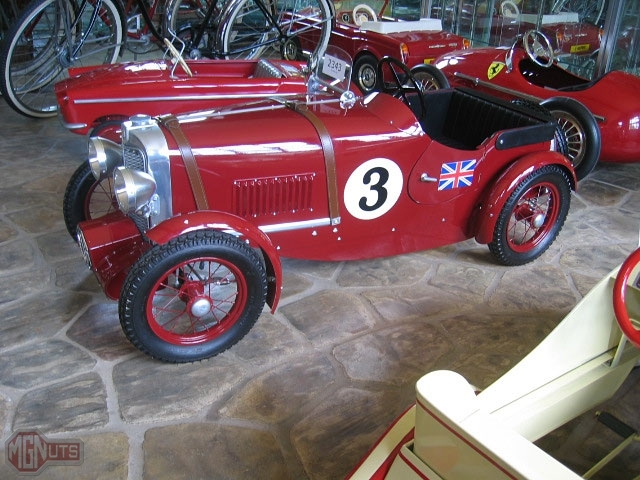 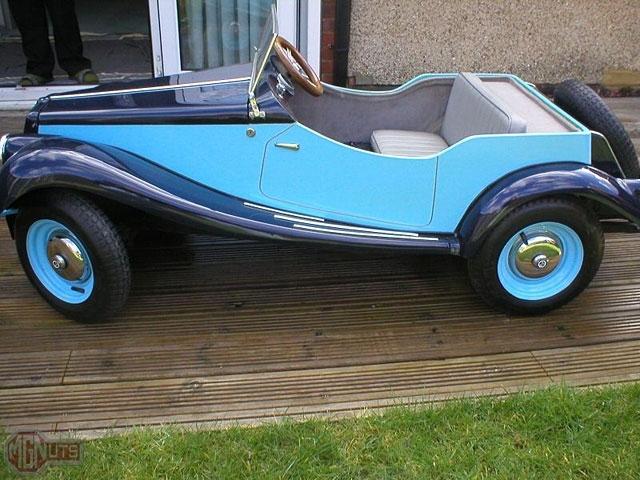 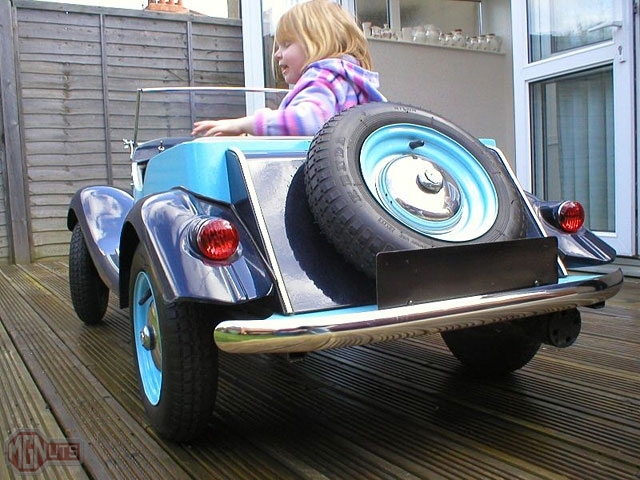 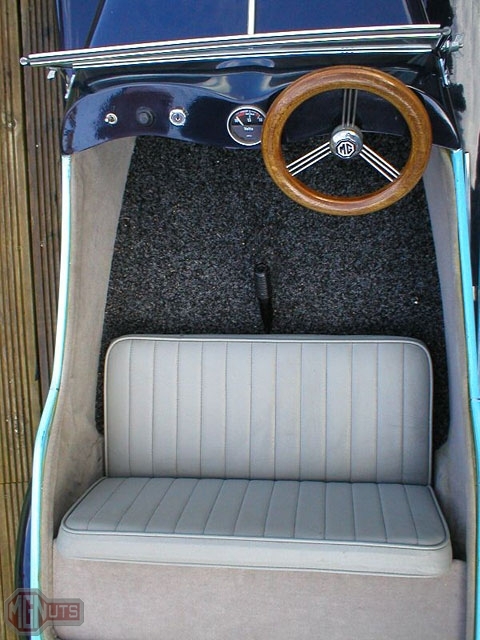 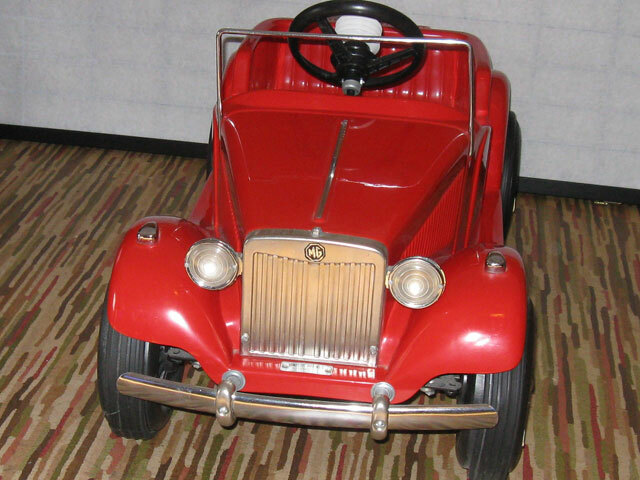 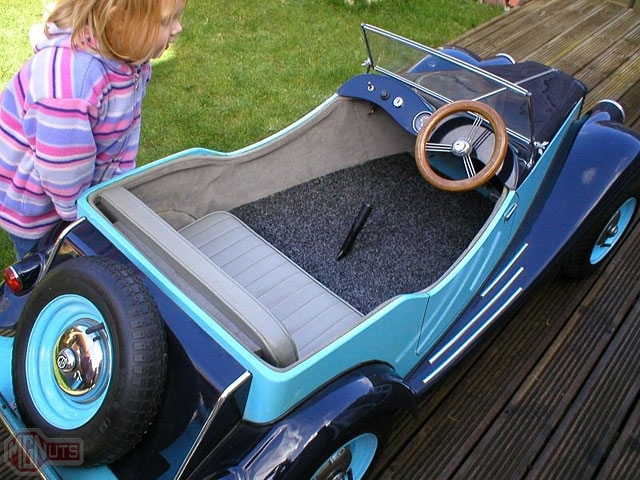 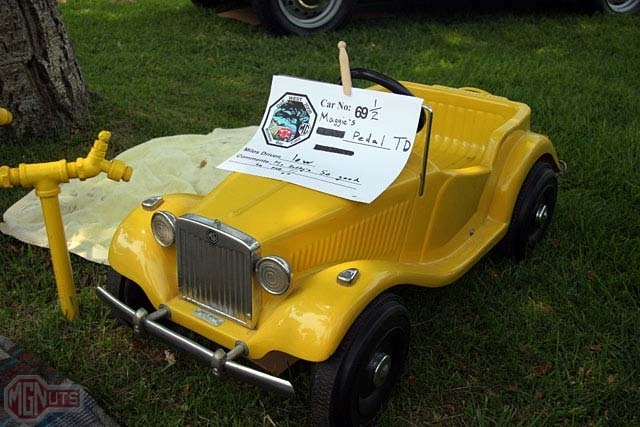 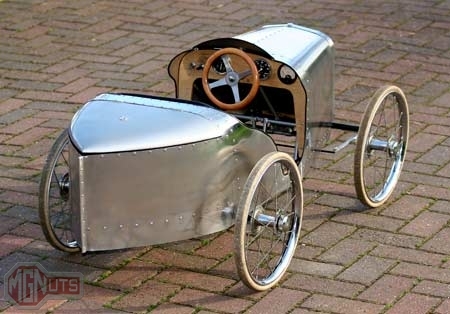 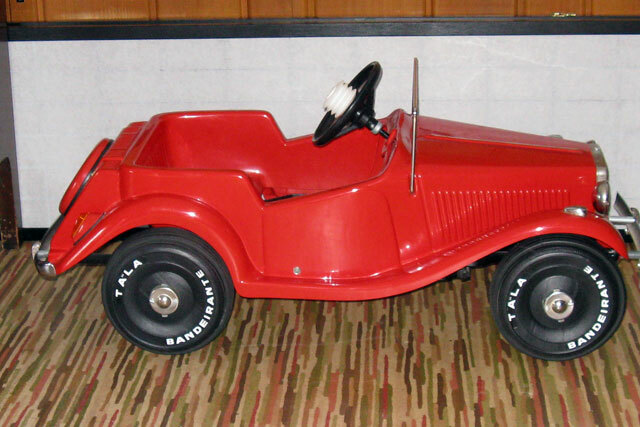 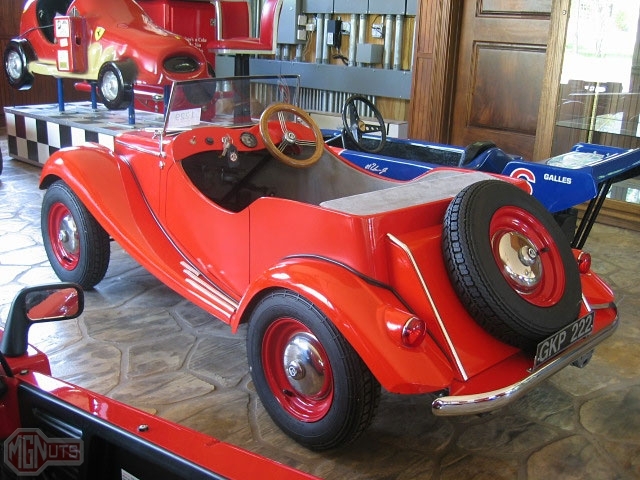 This pedal car was manufactured by Little Pedalers in England. 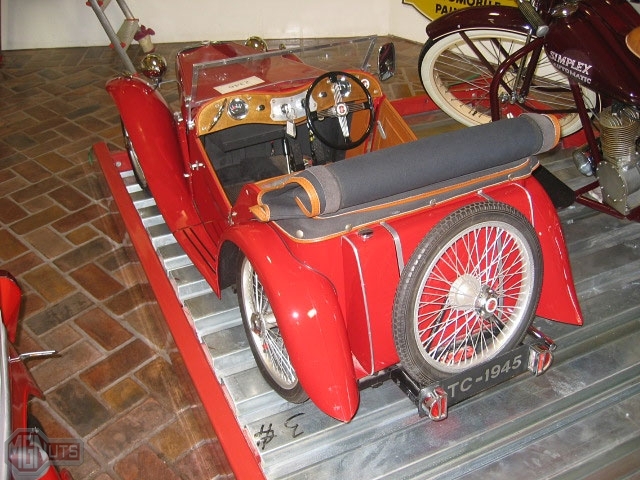 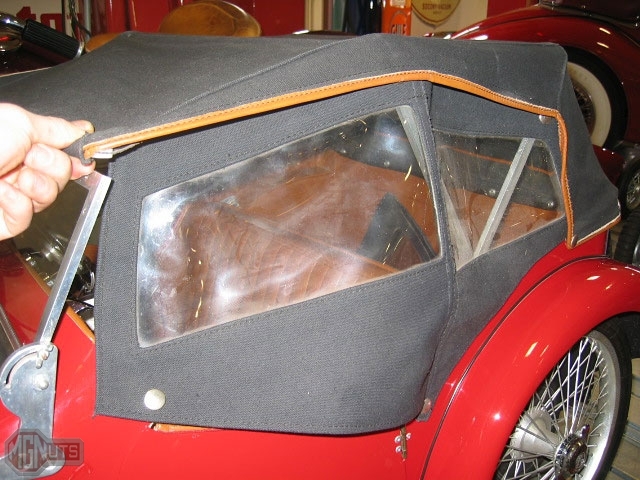 It features leather hood straps, pneumatic tires and rear-mounted spare, working headlights, windscreen and side mirror. 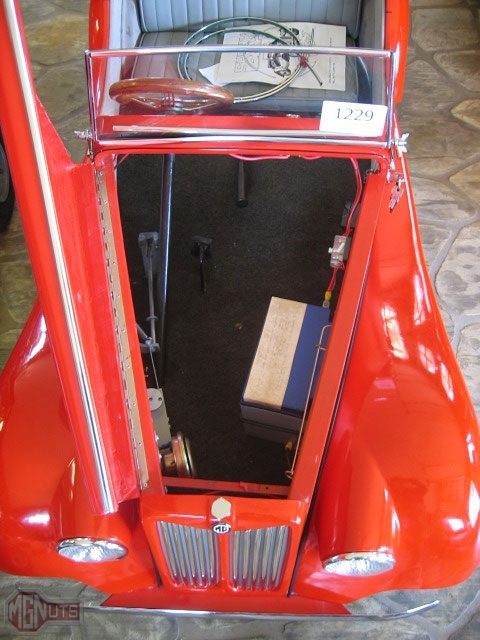 It comes with a registration book and a period licensing badge. 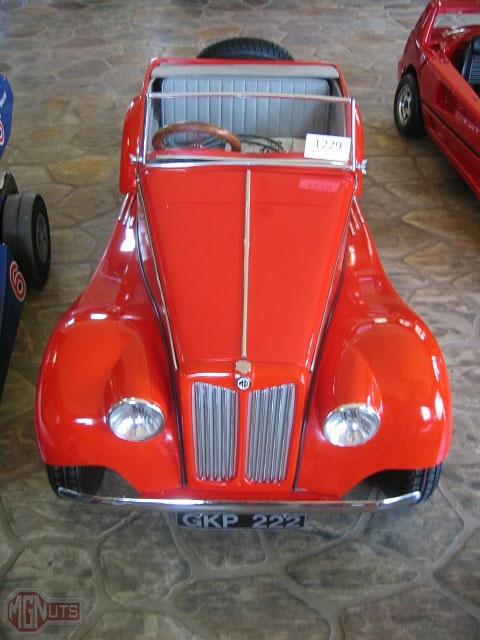 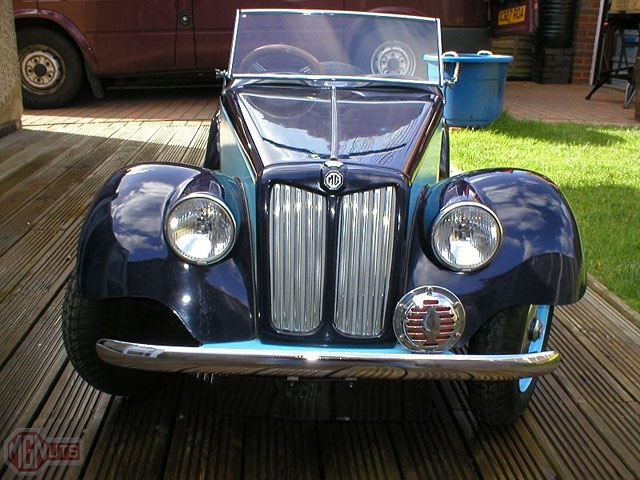 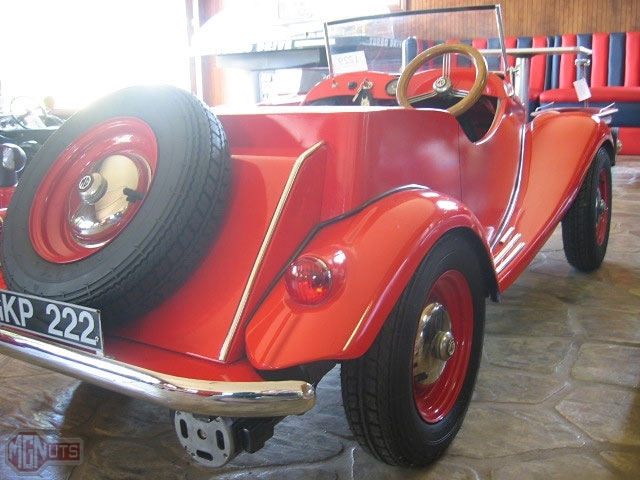 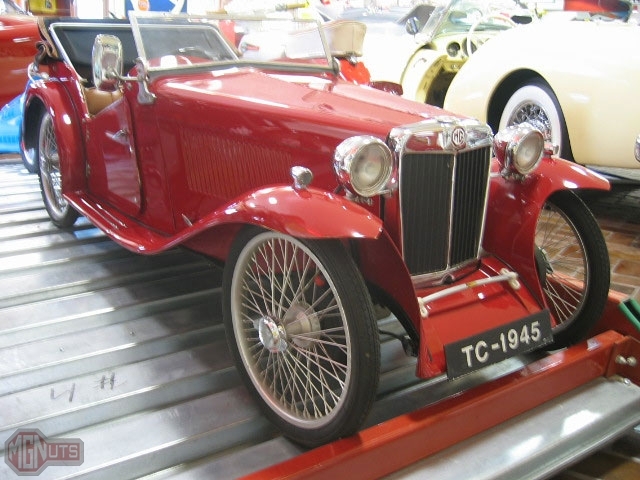 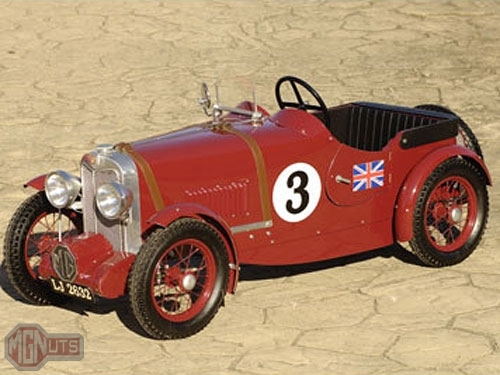 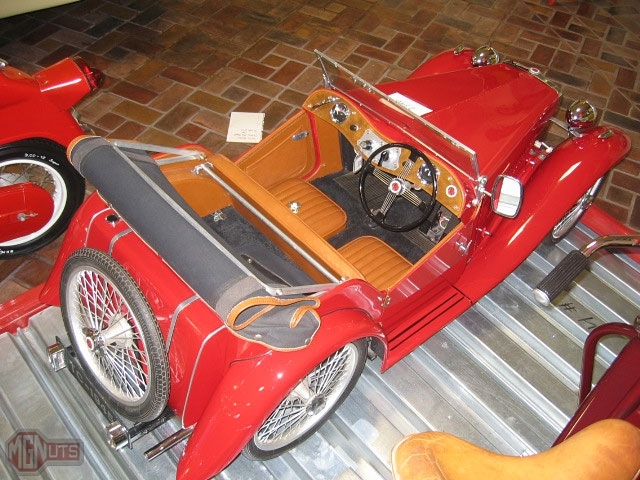 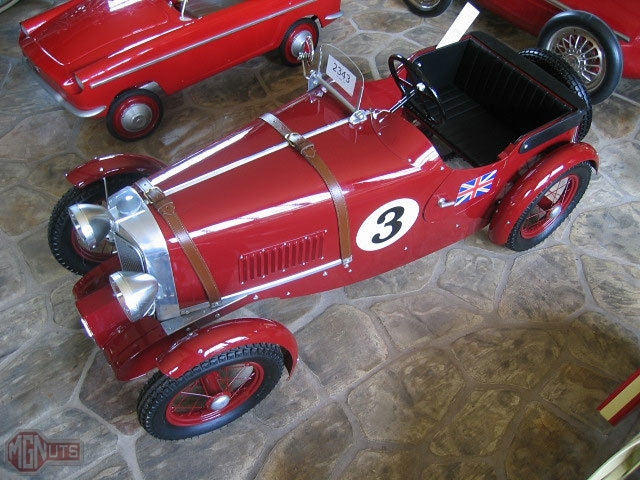 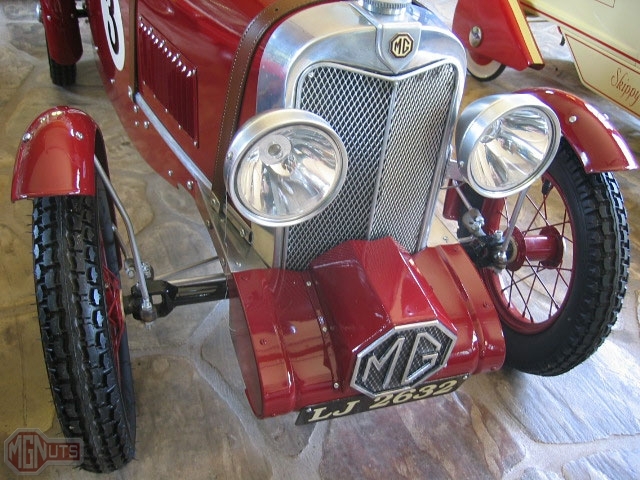 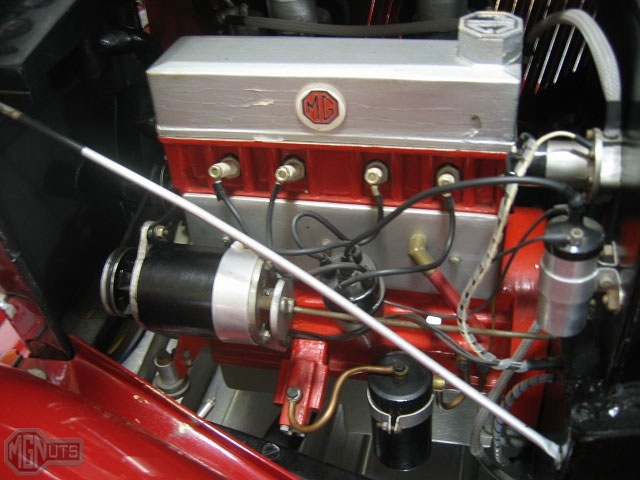 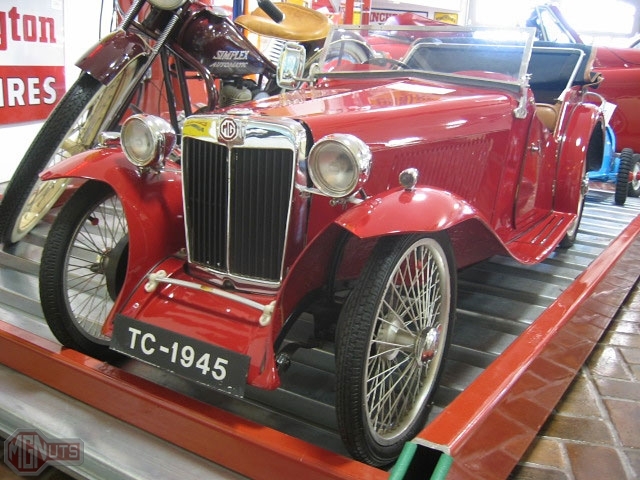 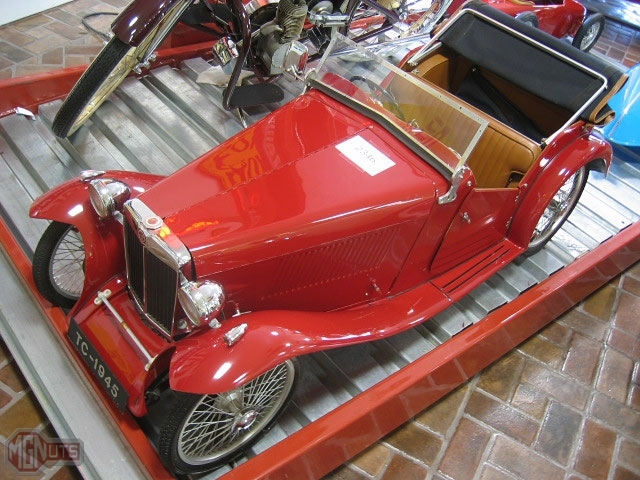 Battery-powered miniature MG TF, manufactured in England by Sunny Day Cars. 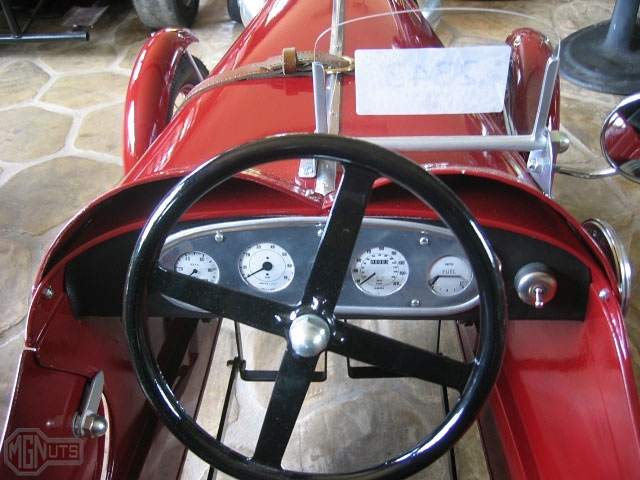 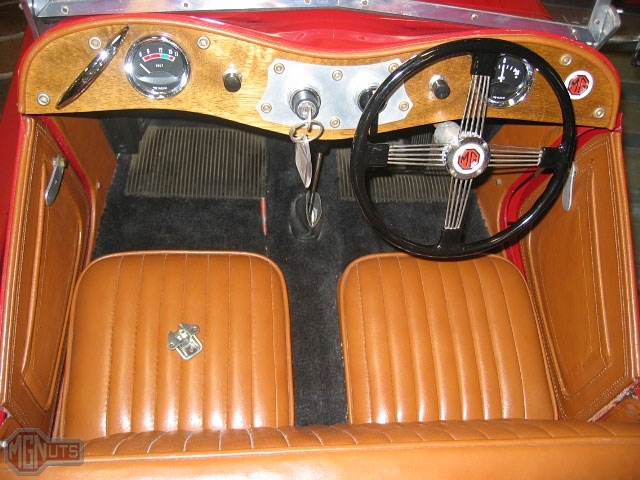 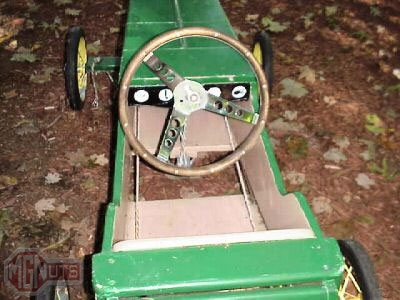 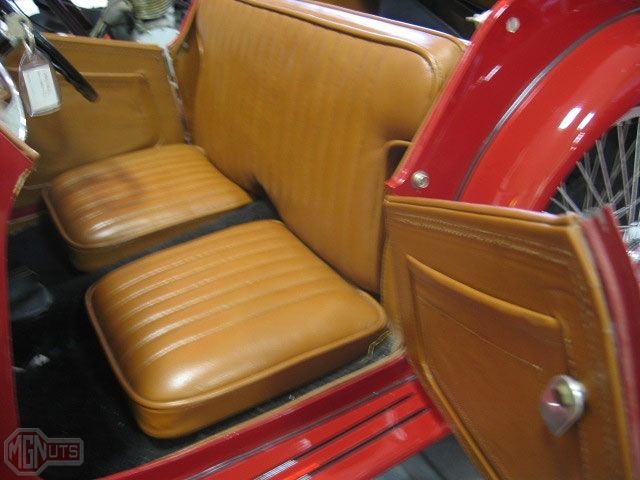 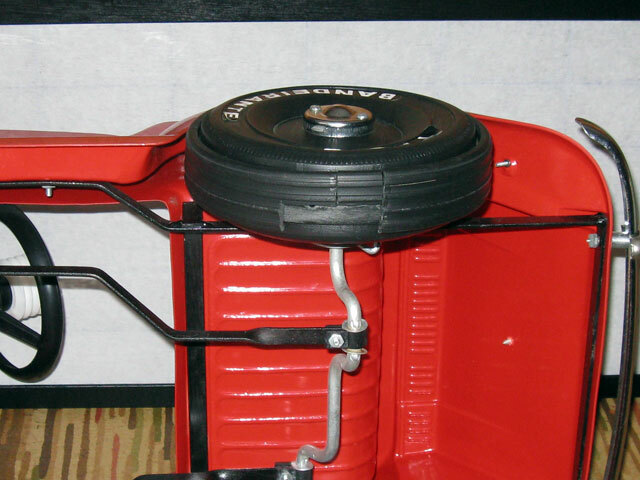 It features a fiberglass body and battery power, with a working horn and lights, a wood steering wheel and spare tire. 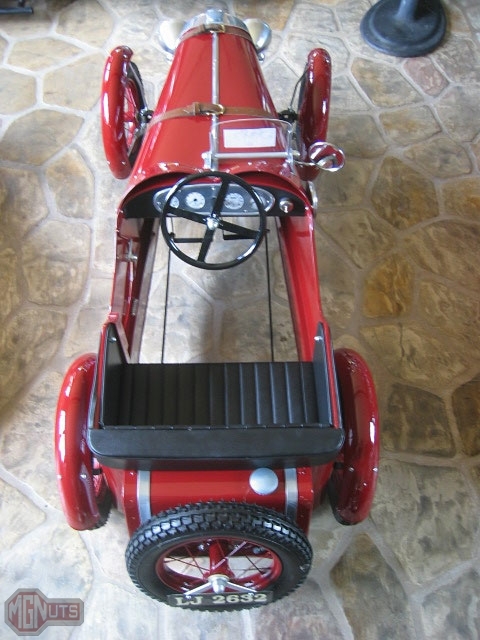 Made in Brazil, manufacturer unknown.